We all have those little pains that nag our bodies. But some pains stay with us longer than they should causing us discomfort. In fact, they can interfere with our lives. TENS and EMS units are efficient ways of managing pain in a non-invasive manner. 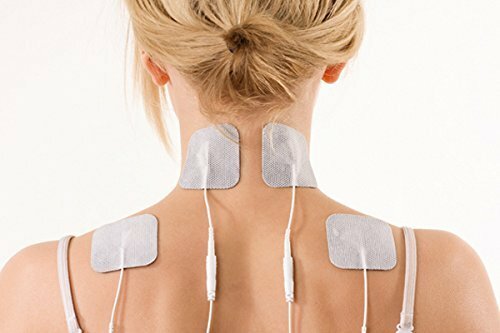 If you are tired of taking pills, going for a massage every other day, or going for acupuncture therapies a TENS unit is a much better way of managing your pain from the comfort of your home. What is the Difference Between TENS Therapy and EMS Therapy? Do you need a Doctor’s Prescription to use a TENS Unit? Does Medicare cover TENS Units? Should you get a Wired or a Wireless TENS Unit? Do you need to use Electrode Gel with TENS unit pads? How long should you wear a TENS Unit? 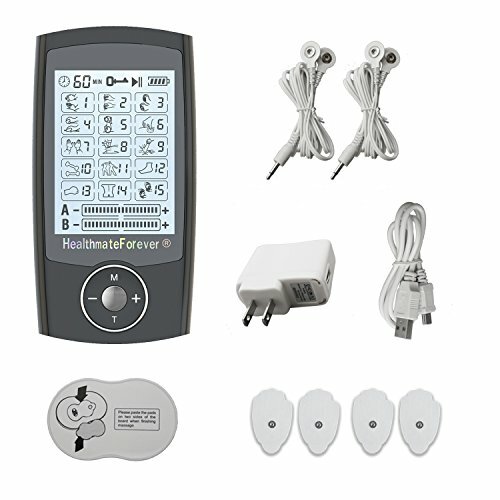 Transcutaneous Electrical Nerve Stimulation (TENS) unit is a form of electrotherapy used for therapeutic purposes. It provides fast relief for chronic and acute pain from back, shoulder, neck, headaches and many other areas on pain on your body. 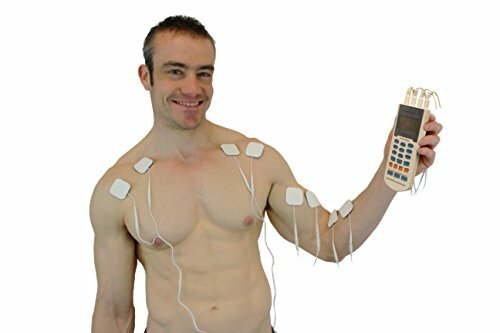 TENS Units have electrodes and are battery operated to produce the needed electric frequency and to modulate the intensity required to stimulate the nerves. The electrodes are placed on the specific location of pain on your body. The impulses sent to the nerves create endorphins which are the body’s natural painkillers. These are feel-good hormones that are essential in the healing process and mood stabilization. Electrical stimulation to manage pain has existed since 63 A.D in ancient Rome. Scribonius Largus reported that pain relief was experienced after standing in the water surrounded by electrical fish at the seashore. By the 18th century, Benjamin Franklin highly advocated for the use of electrostatic devices as a method of pain relief. In the 19th and 20th century, machines that used static electricity for pain relief were invented. But they were large and not exactly portable until the invention of the modern TENS unit in 1974 in the USA. This unit was initially designed to test the tolerance of chronic pain, but it proved to provide pain relief to patients who used to have electrode implantations in the spinal cord for pain management. Medtronic was the first to commercially produce a TENS Unit. 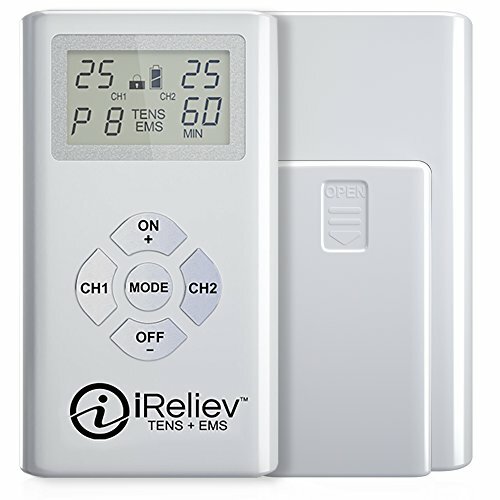 After its success, many other companies started manufacturing TENS Units which continues to be one of the best non-drug methods of pain relief. Electrical Muscle Stimulation (EMS), is another powerful solution for chronic pain. It works by producing an electric charge to stimulate the muscle and cause contractions. They are primarily for muscular pain relief especially inflammation and swelling that restricts muscle movement. These units are also useful for increasing blood circulation. They are therefore beneficial if you have poor blood circulation, weak muscles, or have lost range of motion after being involved in an accident. Although both the TENS and EMS units deliver electrical impulses to the body, they are designed to provide different pain therapies. The TENS unit stimulates the nerves to produce stimulation that blocks pain from reaching the brain. They stimulate the healing process by causing the release of endorphins into the body. EMS units cause muscle contractions similarly to the Central Nervous System. It is not used for pain management in all body parts, but for strengthening the muscles. It is used to retrain the muscles. That is why it is popular with athletes to rehabilitate from muscle injuries. EMS units relax and tone the muscles while preventing muscle atrophy when muscles have been dormant for a long time. The functions of these units usually overlap. If you are trying to manage pain, a TENS unit is your best bet. But if you want to retrain muscles and improve your range of motion, then an EMS is the way to go. Of course, you may find that muscles can be in pain when rehabilitating them, that’s why a combination unit is recommended. Cheap TENS Units offer basic and limited therapy settings. Why limit yourself from the very start? You don’t want to experience less effective pain management with less flexibility when it comes to covering different types of pain. A high-quality model will not cost a fortune, but it will not be cheap either. It comes with more pain coded programs that will deal with different kinds of pain effectively. It is much better to invest in a quality unit that will last in good condition while giving top-notch service from the very beginning. AcuXPD-S unit aims to make non-invasive pain management even more personalized. It is a small portable device that you can use just about anywhere. Designed as a combo unit, this unit will provide both TENS and EMS therapies. With 18 modes to choose from, you can use it to provide pain relief in painful areas of your body as well as use it to receive muscle stimulation therapy. Athletes gravitate towards the AcuXPD-S since it allows for proper rehabilitation of muscle injuries. It will prevent muscle atrophy and also keep you from suffering any further injuries. The Hi-Dow AcuXPD-S comes with one-sided electrodes and a battery-operated unit. The pads can repeatedly be of use until they need to be replaced. We like that it has four pads that consist of two ½-inch sized and two XL sizes that are 3¾ inches wide. You will be able to use them in most areas of your body since they offer substantial coverage when targeting specific areas. This unit comes with the ear clips, a USB cable, and an AC/DC adapter for travel. You also get a pad holder to keep the electrode pads in good condition for multiple usages. If you are looking for a device specific to pain management, the Hi-Dow XPD-12 is an excellent choice. This model is FDA-cleared to be used with most chronic pain conditions including healing from injuries. It works much like the AcuXPD-S by providing pain relief and muscle stimulation. 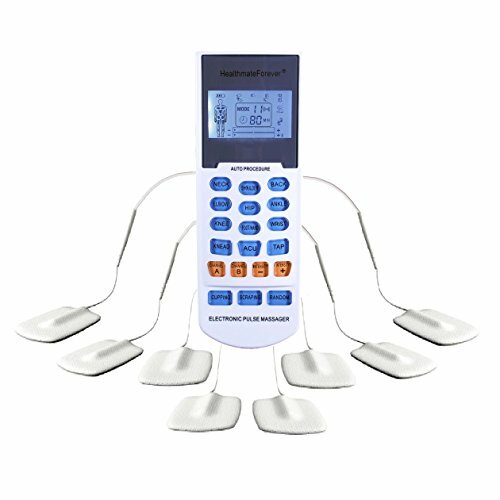 Only that, it has 12 modes instead of 18 pre-programmed massage modes. With this unit, you get 20 intensity levels to help deal with specific pain by using the proper impulse level that will result in subsequent healing. It is a good pick if you suffer from constant back pain, inflamed joints/discs, neck pain, shoulder tension, arthritis, thigh pain, feet pain and many others. You will get four replaceable self-adhesive reusable pads. These are silicone pads that will not irritate the skin or cause dryness and itching when using them for extended periods. It will be helpful to reduce muscle spasms and promote blood flow in areas where healing could be slower because of multiple injuries. Operating this device is pretty straightforward. It has different controls for the twelve sensations as well as the intensity levels. It will be easy to set the right mode according to the pain you are experiencing. The two outputs are easy to use as well as the adjustable timer. The rechargeable lithium-ion battery offers long running times, and it has an indicator so you will never be caught off-guard with a dead unit. HealthmateForever is perhaps the most sought unit when it comes to pain management. It offers both TENS and PMS therapy to help in powerful pain relief. With 20 modes to choose from, you can use this unit to deal with pain from different areas like the feet and lower back. We like the wide variety of modes as it is comprehensive to help with different types of pain. The M button helps to switch between the modes from acupuncture to Shiatsu, Back pain, deep tissue massage, tapping, cupping, joint modes, and even the bodybuilding mode that is excellent for toning and firming the muscles. You can decrease or increase the intensity levels using the +/- buttons. It offers simple usage and you are aided by the LCD backlit screen which helps in choosing the modes even in low-lit rooms. Two separate channels A and B indicate you will get 100% power meaning no location will be left unattended. It uses self-adhesive pads that come with the pad holder. You will get four pads that you can wear at the same time for better coverage. HealthmateForever offers high-quality performance for a unit that comes at an affordable price. It blocks pain signals from reaching the brain so that you can lead a pain-free life. 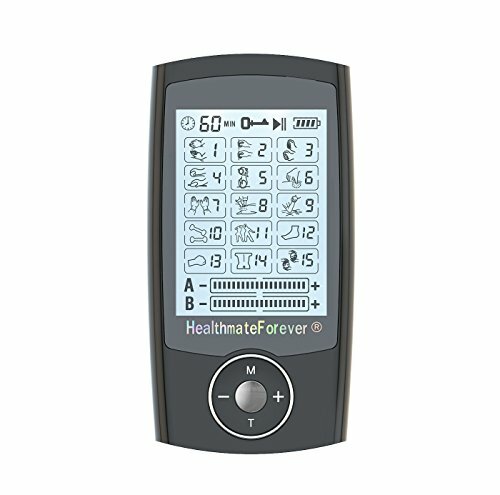 HealthmateForever is without a doubt an influential brand when it comes to pain therapy products. The YK15RC is an updated model of the YK15 and YK15AB. You get advanced software and hardware that delivers even better performance in pain relief. Whether you have consistent headaches or your neck and back are inflamed, you are about to experience deep tissue massage giving you comfort and pain relief. With four outputs, you will be able to use up to eight electrodes that provide electric pulse sensation to specific areas of your body. 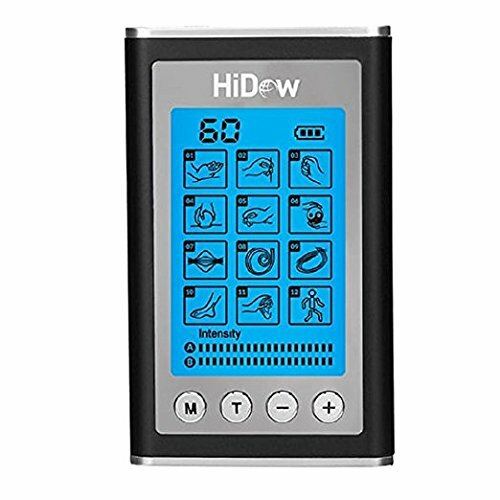 You have a TENS Unit with 15 pre-programmed massage modes with nine custom modes including back, shoulder, elbow, neck pain modes, and six therapeutic modes like knead and acupuncture. You get a 10-80-minute timer, easy-to-use buttons backed by a backlit LCD screen. You will like that two of the channels are independent to provide 100% electric pulse for intense pain. The electrode pads are also easy to use as they have a construction from a non-woven material that is flexible around the knees and elbows. Who wouldn’t want to use a personalized unit for pain management? HealthmateForever is a must-have at least for the increased number of pads and simplicity. If you hate the hassle of untangling wires every time you need to use a TENS unit, the TimTam model might be the one for you. It comes with two pads that are small so that you can wear them discretely. This unit will not need any wired connection at any point of use. It is Bluetooth enabled to allow control using the companion app for Android and iOS devices. The pads provide minimal setup meaning you can use them whenever you experience pain. Whether in the office, gym, in your car or at home, it is the most effortless way of managing pain. As small as the unit is, it offers six pulse modes that have ten intensity levels. The pads are recommended for use in sixteen different areas of the body. This indicates it will prove useful in treating the most common culprits including the back and shoulders. For a unit that is small and has the convenience of being wireless, you can count on it to provide intensive pain relief. Say goodbye to wires and painkillers with the iReliev Wireless TENS Unit. This device follows a low-profile design that does not sacrifice on the needed power for pain relief. In fact, it is highly regarded for its ability to deliver powerful impulses for both EMS and TENS therapy. Having been FDA cleared, you have no worries surrounding the safety of this unit. It has seven TENS pulses that help to block out pain. It also has an arthritis mode which is incredible as it targets that specific pain. 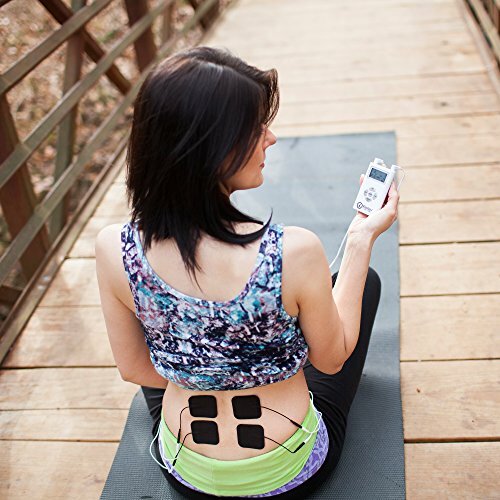 And with the six EMS modes, it provides muscle contractions directed at restoring strength in muscles. If you are a gym rat, or you have hit your senior years, it is much easier to get injuries. To retain your strength and do the things that bring you joy, this TENS/EMS unit will come in handy to help maintain a healthy lifestyle. There’s no need to be stuck in the house when you have this portable device. Being wireless, you are not only free from wires, but you also get easy controls using the remote. Each pod has a separate channel to give room for customizing the kind of therapy you want to employ. This is such an outstanding way to target acute pain. Do not let pain stop you from achieving your goals. Grab this wireless model and look forward to better days. Our list would not be complete without a cheap option that has all the great benefits of a quality model. From one of the top performing brands, iReliev, this TENS and EMS combination unit offers versatility in dealing with all kinds of pain. iReliev offers 14 programs that include the arthritis mode and six EMS programs. If you have been taking pills to control lower back pain or joint pain, it is time you take a break and try an alternative and approved method of pain relief. This device is a nice companion to help relieve post-workout pain using the EMS modes that provide muscle contractions and encourage healing at the same time. The TENS modes will provide pain blocking. With the two independent channels, the pulses will be sent to cater to specific pain. It offers the flexibility to be used with one or two large pads or four pads. It is the perfect pick when you need to feel the sensation of massage therapy in a small or large area. And it brings relaxation to the body which in turn reduces stress levels. 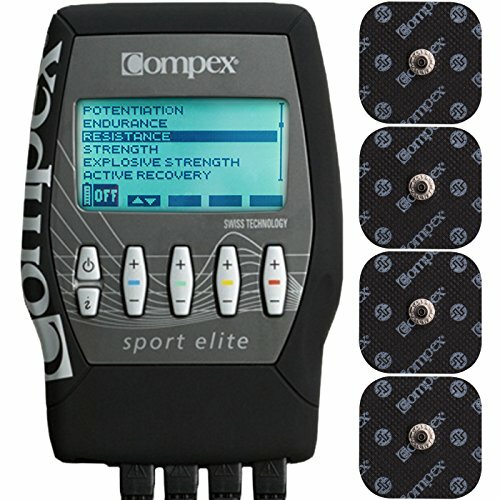 The Compex Sports Elite is a unique EMS Unit since it uses easy snap performance pads designed for competitive athletes to achieve greatness in the most demanding sports. It is your go-to when looking to increase your endurance and decrease downtime. This way you can spend more time training and be great at what you do instead of caring for torn tendons. With nine programs, you get warm-up, strengthening, and recovery modes. The strengthening modes are perfect to wake any dormant muscles to help you increase range of motion. It is praised for its capability to reduce chances of injury as muscles get stronger and gain agility, speed, and balance. It is designed by medical experts to help in quick recovery by increasing blood flow by up to 600%. It also reduces lactic acid by 4-6 minutes. That’s why it is recommended for use by athletes to stay in shape. 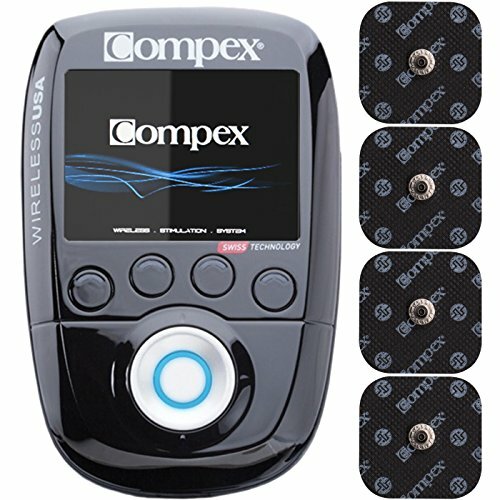 Compex is a large brand that has been around for around 30 years. We are bound to notice when they bring a wireless EMS unit to the market. This particular device gives you full mobility so you can use it even during exercise. The pads attach directly to the electrodes where you can use them on different areas of your body. They relieve the stress and bulk of wires to give you maximum mobility when performing various exercises. This unit also has nine programs like the wired Compex. It allows you to pick different muscle stimulation modes. These include; strength, endurance, resistance, explosive strength, potentiation, pre-warm up, massage, active recovery, and recovery-plus. These modes will help take your workout to the next level. From optimizing your strength to preventing susceptibility to injuries, improving your balance, and driving your career to greater heights. Electrotherapy is a natural method of pain relief as opposed to traditional painkillers. TENS and EMS units are FDA-approved for use by patients suffering from chronic pain. So, will you need a doctor’s prescription to use a TENS unit? It is better to have a doctor-prescribed TENS Unit since you are going to have a unit that is clinical-quality. Unlike what you get over the counter, doctor-prescribed TENS Units are powerful in that they will have lots of pre-programmed pain codes. This means they will be flexible over a range of pain and will be to be used for a long time. Part B of Medicare covers TENS unit rental for up to 30 days for patients suffering from post-surgery pain. Coverage beyond the 30 days can be extended in exceptional circumstances through the recommendation and documentation of a physician. Medicare also covers the use of a TENS Unit for patients who have suffered chronic pain for more than three months. It must be pain that responds specifically to TENS Unit. As such, it does not include internal abdominal pain, headaches or temporomandibular (TMJ) pain. At first, you will be required to rent the unit for 30 or 60 days. And purchase coverage is only applicable if the device is likely to provide long-term relief. 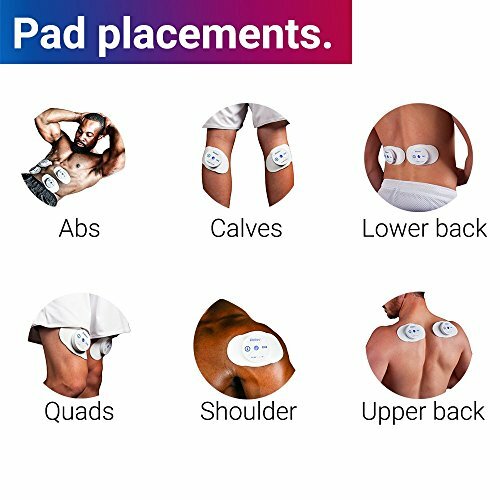 Wired TENS Units have the advantage of having many electrodes so that they can cover more areas of the body, unlike wireless models that have only a few like two or four pads. Also, because of the small and compact size, they may not have the extended functionality and as many programs as their wired cousins. But you get freedom of untangled wires since you will not be dealing with any cables. You can wear them discretely throughout the day even at work. Their portability means you can reach in your bag and wear the electrodes in your clothes at any time. TENS units have self-adhesive electrodes that stick to the skin unaided. The shape and size of the pads depends on the device you get. You should treat electrode pads as replaceable since they lose their stickiness over time. But they should give you multiple uses sometimes up to 30 uses per pad. Their longevity is highly dependent on the care you take for them. This includes using them when your skin is clean and dry. TENS unit pads lose their stickiness if they are clogged with dirt and oil. But you can clean them with a soft toothbrush or a damp cloth. To continue use of electrode pads after losing their elasticity, electrode gel can be applied to the pads. The gel is conductive and will still provide the nerve stimulation needed to aid your healing process. TENS Units pads are cheap, but that does not mean to buy one replacement pad at a time. Buying in bulk is wise and will save you money in the long run. The TENS machine can be used for as long as you’d like. Most people report having used it for a minimum of ten minutes and up to two hours several times a day. However, it is encouraged to wear a TENS unit for 30 minutes at a time to protect the skin from electrode pad irritation. 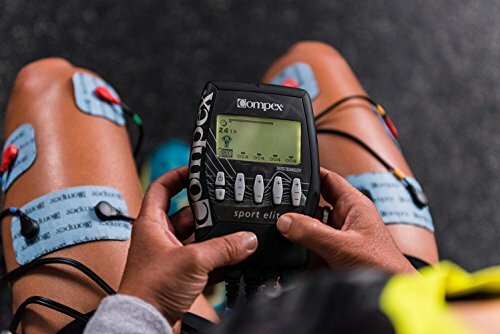 Whether you are looking for a drug-free method of pain management or looking to get better in sports, we have presented the Best TENS and EMS Units on the market. It’s our hope they will help make your healing journey more comfortable. Our top premium model is the Hi-Dow AcuXPD-S TENS /EMS PMS. 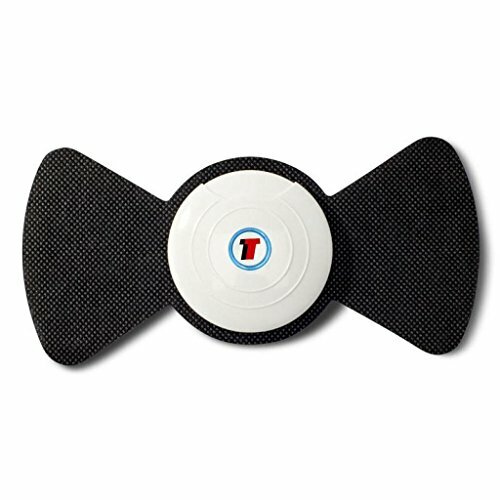 It is a well-rounded model with programs for nerve and muscle stimulation. It provides muscle strengthening to restore range of motion and deal with chronic pain in other areas of the body. If you want a device that is cheap and functional, our top pick is the iReliev TENS+EMS Combination Unit. You can count on it to offer pain relief and muscle stimulation benefits in a unit that is not cheaply made. Go on and live the life you deserve without pain with the help of one of these TENS Units.